Well I’ve been away from this site for a long time and this is not exactly my planned first post back, but I created something I found useful today so I decided to share it. Recently I’ve been purchasing my music from Amazon. Running a linux environment at home, downloading music from the big names can be quite painful. However, Amazon has done a great job to address this. It is fairly simple but I wanted to go just a little farther with the help of clamz and a simple script. clamz is a downloader program for the Amazon music store. It works great, but I’m always forgetful when it comes to what actually to place in the command when trying to run it. Here’s my shell script. It’s pretty basic as my shell script skills are not well developed, but hey, it works. echo "What directory should be used to store the downloaded music files?" if [ -d "$MUSICDIR" ]; then echo "Directory exists." echo "What directory contains the .amz file provided by Amazon?" Download and install clamz via the link at the top of this page. Follow its instructions for installing it. Your current linux distribution might already package it so try your repository if you are not comfortable with the clamz instructions. Save my shell script with a file name of “startAmazon”. You can change the name if you want. If you changed the file name, then the command will need to be changed as well. This command will make the file executable. Perform the following command in order to be able to call the script from any directory. That’s it. Now you can run “startAmazon” from any directory when you are ready to download your music quickly and easily. I doubt I’ll make any updates to this script unless there are changes to clamz. Enjoy! With the recent release of Ubuntu 10.04 LTS (Lucid Lynx), I found the need to help my transition to the new version of Linux that I currently use at home (desktop and netbook). I have become quite comfortable at making certain transitional changes upon upgrading, but why do I need to spend the time to fix a manual step that I can automate? The script, found here (right click, save as), simply runs two simple commands within a terminal. However, why type these commands (each on a single line) in when you can just run the script? Like I said, I’m lazy. If anyone wants to help out or have suggestions, let me know. I’ll try to give a full review of Ubuntu once I spend more time with the OS, but as of right now, its AMAZING. Purple suits me much more than the old brown did. It seems like many moons ago I was writing about my latest foray into the world of Linux thanks to my new netbook toy. Before that I attempted to chronicle my journey into learning about the free OS. I guess then that it is time for an update on my progress. After enjoying Mandriva for well over a year, I decided it was time for a change. Still fighting off that which is popular, I chose to go with Linux Mint. Built on top of Ubuntu but with a flare for elegance, it seemed like a great choice. It’s been about a month since the move to Mint and I’d say my reaction has been mixed thus far. 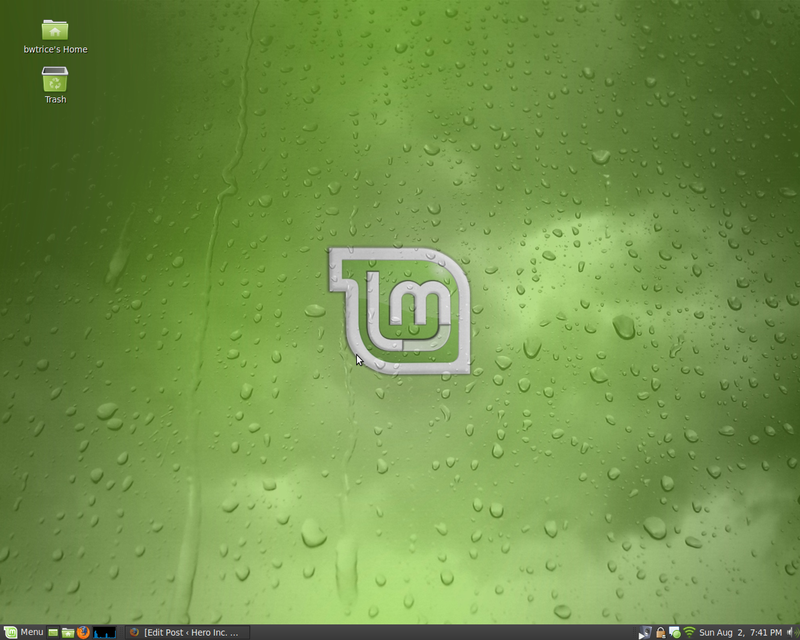 Linux Mint does offer certain areas of improvement over Mandriva, mainly the user base for help. I can use either the Ubuntu crowd or Mint specific users. I’ve also noticed better performance in my VirtualBox from when it was run on Mandriva. However, I’ve also run into the normal “this didn’t work out of the box” items that plague many new installations, such as issues with the video driver that prevent me from utilizing the accelerated graphics card functions. I certainly don’t need the cool visual affects, but they were always nice to have within Mandriva. I’m certain I can get them working if I take the time to update with the correct driver, but so far I haven’t really taken the time. It also seems that I’m learning to like Gnome or not even notice a true difference with KDE. Gasp! Don’t tell the geeks or I’ll be thrown out, if I haven’t been already. I’ve also noticed an annoying item related to my use of Pidgin. It seems that when my computer is left alone for a period of time, Pidgin always seems to hog my resources when I try to use it again. I’ve googled it but didn’t find many results. I even tried to post to a forum, but you know you have to reply to those. Oops. With the OS change, requires a few application changes. Not many mind you. The biggest and most important change for me is the media manager application. Previously with Mandriva I was using Amarok. Amarok is still to this day the best music software I have used but I’m not liking the new path it is heading with the major changes made for version 2. It was my all inclusive software (music, tagging, media transfer to Creative Zen). Linux Mint came with RhythmBox oob, but it fell short. I then tried Songbird (still not understanding the need to combine the media manager with a browser). So No luck there either. Now it seems I’m using a mixture of Banshee and Listen. These are great for listening to my tunes but not so much for transferring files to my Creative Zen. I’ve tried using Gnomad 2 for transferring files, but my artwork is lost and that’s a kill switch for me. Now that’s the desktop. On to the netbook. 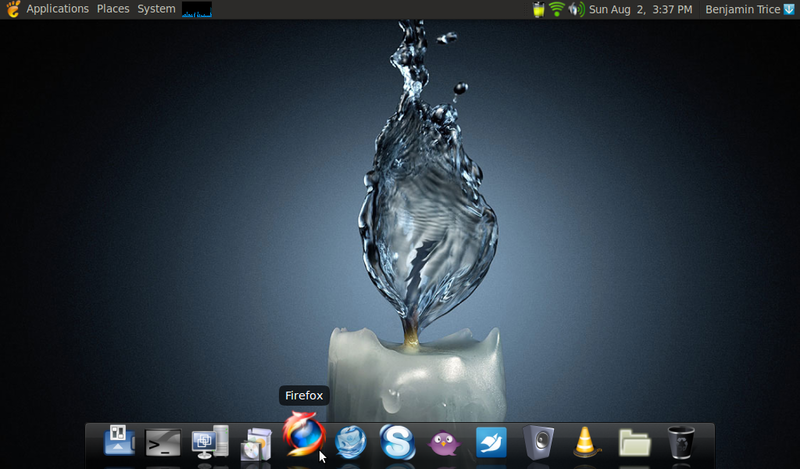 Since my netbook post, I’ve been using eebuntu netbook remix, which was based on Ubuntu 8.10. It was slick and really tried to utiize the smaller netbook screen and give you ease of navigation. I loved it and thought I’d keep it forever, but updates put an end to that. When I tried to upgrade to the 9.04, I saw an exterme performance drop in the graphical department. At this point, I realized that I was not really using the netbook remix as it was intended and decided to change by installing Ubuntu 9.04 without the netbook remix addon. Well, I must say that I’m impressed. Everything I need has worked OOB with Ubuntu (wifi works, yay). I’ve spent the past day or two customizing it to my somewhat liking. As you can see, I still need to remove the wonderful gnome footprint start button icon. Maybe I can get Will to make me a simple Black Adam lightining icon in reference to my netbook’s name (blackatom). With the Hydoxygen iconse, a customized Dust theme, and the AWN dock bar (I found this one to be less process intensive than the Gnome-Do Docky theme), I think I’m ready to go enjoy my netbook again. I might even come to like Ubuntu enough to put in on my desktop. Apple lovers, please don’t begin to tell me my desktop is very similar to Apple’s setup. Similarities just mean that something is working for a larger population. I also tried a live boot of Moblin, which was impressive but confusing. 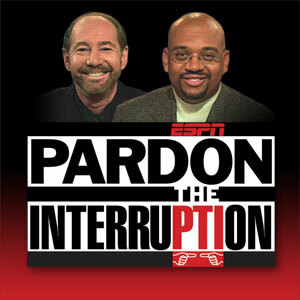 Here’s hoping they can continue to improve it. There’s a new member of my computer family. The new bundle of joy arrived on Wednesday afternoon and has amazed all of those that have seen it in person. That’s right peeps. I’m the proud owner of a netbook. My original intent was not to get a netbook, but to possibly purchase a new mp3 player. However, most of the ones I found were not better than my current Creative Zen Vision W. I wanted my new player to be able to play music and videos as well as provide the basic ability to surf the web. After looking at my options, it seemed that a netbook could produce the same results. 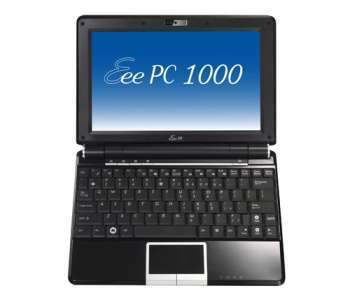 Therefore, I purchased the ASUS Eee PC. For those unable to click the previous link, here are the basic stats on it. Now before we go any farther, this technological wonder needs a name. For those that are truly unfortunate to know me, understand that I name my pieces of tech based on, what else, but super heroes (Inventory => Old Desktop: Lantern1, Old Laptop: Gray Ghost, New Desktop: Black Panther/Lantern, Media Hard Drive: Cerebro). The netbook’s name is so perfect that I love to share it. Based on the color and processor mentioned above, I dub thee Black Atom. It is a combination name based on both Black Adam and The Atom. Bring on the geek jokes. For those living in fear of Linux because you heard it is “difficult,” then this netbook is perfect for you. Out of the box and fully charged, Black Atom runs like a charm. It comes with all of the necessary software already installed and configured for your daily use, such as a browser (Firefox), Office Suite (StarOffice), Music Player (Amarok), Instant Messenger (Pidgin and Skype with web cam ability), Photo Organizer (Picasa) and Video Player (Kaffeine). The interface is trimmed to not pose as a full desktop. Some people may hate that, but I think for those non-techies it is perfect for what a netbook is used to do and it gives those techies the perfect ability to make the needed changes through back channels. Now on to tweaking Black Atom to my liking (opening the Linux up more for my use, adding my music, installing extra software, etc.). I will leave you with a quick video I made of the machine starting up (notice the speed that comes with a solid state drive) and walking through the interface. For future reference, here are a few great links that are helping me make Black Atom into the machine I want it to be. I’m still doing the Linux thing at home and will be doing it in a mobile way soon (more to come later), but I figured I’d park my latest information concerning Linux for those interested as well as my own personal journal of my linux journey (A Penguin And Me Lives!). At least this way if I screw it all up in the future, I’ll remember what to go back and do. Databases – Due to work at my job and other online related work, I’ve come to join the simplest most powerful tool I know, the database. In my eyes a database should be created for anything and everything. It can be as disposable as a piece of paper but as powerful as the information contained within it. It holds my music habits as well as posts for this site. At work if I get frustrated by the more powerful Excel commands, I’ll offer to throw everything into a quick database to run queries against. I’m lazy and don’t feel like giving more of my mind to Microsoft at the moment. Overall, I’ve found that the best GUI tool available, for me at least, is DBVisualizer. It works on Windows for those interested and is free. Yay, free. Most repositories should have it available for quick install. I did encounter an issue when trying to start the program initially after the install. It would fail every time. Thanks to the internet, yet again, I found that I needed to modify the “my.cnf” file and comment out the “skip-networking” line. With that simple change, I was up and running with ease. Application List – From the beginning of my work installing Linux at home, I’ve kept a application list document that helps me keep track of what I use daily and what I need to install to keep everything running smoothly. This application list is not distro specific. I’ll continue to update it as I go for those, other than me, who are interested. Amarok Scripts – In a previous post, I mentioned writing a simple script to turn Amarok into my own personal alarm clock. Maybe I should have saved time and performed more research because someone built it before me and a billion times better. I feel so small now. WeekAlarm has a better interface than my script (mine had none) and the configuration parameters make it much easier to setup and control. I even found a good Amarok script that works with my IM client, Pidgin (see below). Pidgin Plugins – There are many different IM clients available (Google Talk, Skype, MSN, Yahoo, etc.) and I’m certain many people have accounts on all of them. Having 4 applications open that perform the same task is just annoying in my eyes. That’s why I use Pidgin. Not only does it work across multiple clients, but it is extensible in the same way that FireFox and Amarok are, via scripts or plugins. As mentioned above, I have a Pidgin plugin, called MusicTracker, that will update my IM status with whatever is currently playing from Amarok. Since music is huge to me, this is kind of nice and easy for me to share. However, the best plugin for Pidgin is one that comes by default. This plugin, Text Replacement, is my biggest tool in my ultimate goal of scripting my life away. Out of the box, it helps with the general everyday corrections that one commonly needs while sending messages online. By adding on top of that, you can basically turn four letter word into a complete sentence that you type 20 times a day. As an example, I use Pidgin at work and have the following text replacement scenarios setup (Text:What To Replace Text With). ATL:Atlanta, SFO:San Francisco, LAX:Los Angeles, FWD:Forward, FWDD:Forwarded, PLS:Please,HA3:Ha ha ha. I usually add a few more each day because I can’t stand typing all of these out every time. It may be my OCD taking over but I’d say it helps to speed up my typing. Oh yeah, for those also interested, Waldo has been found. One of the great abilities of being a computer dork with limited programming training is the knowledge that one can make his/her life even better if he/she can script away the repetitive tasks of the day. In a previous post, I talked about the iMacro plugin for FireFox. Well, I’ve taken my life a step further by trying to create a few homemade scripts via BASH. Before people start to respond, yes I know I am a dork. I realize that working on building scripts like these on a Saturday is not someone else’s idea of fun, but I enjoyed it and that’s all that matters. Open Terminal Here As Root – This script was sparked due to my dislike for having to navigate to specific folders via the command line. Most linux/computer users will say I’m lazy and I’d have to agree with them. I have a similar function on my work Windows environment thanks to the Microsoft Power Toys and I’ve always found it to be quite helpful and much faster for certain tasks. I was planning to build this script for Linux (hoping it wouldn’t be too difficult to create), but someone had already beaten me to it and posted it on kde-look.org. After downloading the file, I placed it in my home/$user/.kde/share/apps/konqueror/servicemenus in order for me to run the script through my system explorer (Konqueror). Get Team Trivia Answer – As many of you may know, I quite frequently go to trivia with friends. In Atlanta, there are many Team Trivia locations. At these locations one question’s answer is always printed in advance on the team website. Many times we forget to look at the answer. This script uses several basic utilities to check the site, see if today has an answer, and if does, then the answer should be emailed to me. For not knowing much about bash scripting, this one took me longer than I wanted it to take. Part of the issue was this was the first script I wrote and I had to setup sendmail on my system to work with Gmail. As I write this, the script has just run and according to my email, today’s trivia Answer is McJob. Amarok Alarm Clock – Often times I enjoy waking up to Amarok playing music. However, I often have forgotten to reset the volume level so that my music isn’t turned up to 11 and I have to jump out of bed due to the noise. I’d rather wake up gradually. The Amarok Alarm Clock script starts amarok and then gradually increases the volume until it is at 100%. I even haded an extra check to turn off amarok after 15 minutes at full power. My roommate has often times complained that I forget to turn off amarok when I leave for the weekend or I am away for week due to work. This was very simple and easy to build thanks to Amarok’s wonderful API. URPMI Unlock – URPMI is the command-line package management tool used by the Mandriva Linux distribution. There have been a few times when I try to update/download new packages for my system that I receive an error stating that urpmi is currently locked. This script, which I did not build and found on a forum, will unlock urpmi. It’s as simple as that. To automate these scripts to run each day, I use kAlarm which I mentioned in a previous post. The same funcationality could be performed as a cron job, but like I said above, I’m lazy. It’s been quite a while since I have posted anything concerning my computer and with the new purchase I made a few weeks ago, maybe I should share a pot luck of computer related news. After two years of threatening, I finally broke down and purchased a new computer. I was mainly looking for something that was better than my old Dell, which by this point is about 6 years old. The new machine, dubbed Black Panther, is running Mandriva Spring 2008 and is turning out much better than I had hoped it would. The new computer was minus a few extra PCI slots so I had to purchase a new wireless device. I went with the Linksys Compact Wireless – G USB Adapter. I had read on a forum before purchasing that it worked well with Linux distrobutions. 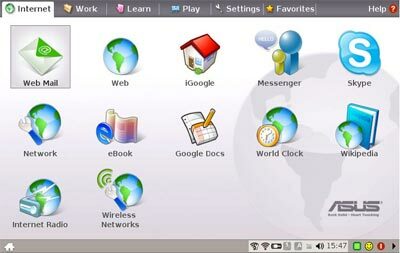 The forum was right and the Compact G worked out of the box with Mandriva. With the new install, I was missing many commercial and non-commercial components that I would need to return my new machine to the way I had my old Linux desktop setup. One of the key items was the libdvdcss library which allows me to burn the DVDs I have purchased in order to watch my movies on the road. Of course, with libdvdcss, I would need transcode so that K3B could correctly rip and encode the files. I think I might be getting better at this search online for linux answers thing. Compiz Fusion running on a faster system is simply a must. It provides the great visuals that all of those Mac fanboys rave about. I personally love the cube and ring effects. The beauty of it all is that it is FREE!!!! Once my system was up and running I wanted to setup Amarok with MySQL instead of SQLite since I had heard of the amazing speed one would gain with the change. However, when I tried to install MySQL via the RPM in Mandriva I encountered a problem every time. It seemed my root MySQL account was already given a default password and I didn’t know it. I tried numerous installs but received the same issue. After a few searches, I came to discover that the MySQL RPM for release candidate 2008.1 release candidate 1 contained an issue if the computer was labeled “localhost”. I read up on the bug and followed the wonderful instructions of one Oden Eriksson and my problem was solved rather quickly. First stop MySQL and Amarok, next stop MythTV. I found a great website when I was searching for how to record my desktop. The website has many web videos that show you how to do different things. I was even fortunate to see one about asterisk which I was looking to work with at work in a few days. I think I got a little link happy in this post but I did warn from the start that it was going to be a pot luck of sorts.